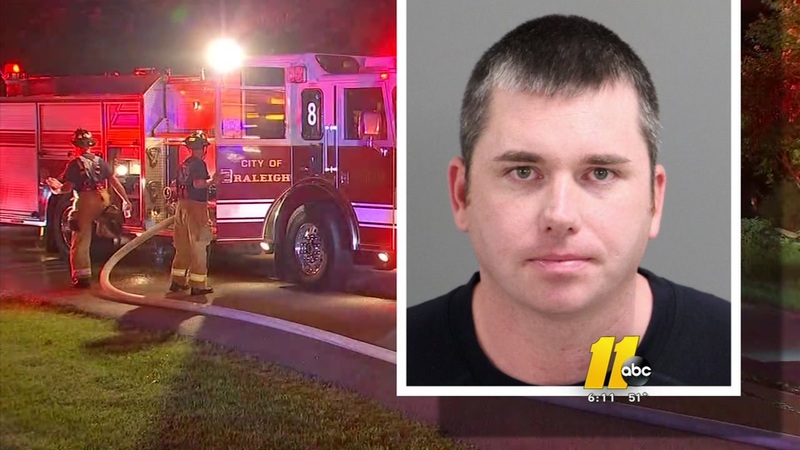 SELMA (WTVD) -- A Raleigh firefighter has been arrested after he allegedly forged a medical prescription in order to traffic opiates. According to the arrest warrant, the incidents happened on Nov. 25 and Dec. 09 in Smithfield. Authorities said Selma resident 31-year-old Charles Langston, a senior firefighter with the Raleigh Fire Department, was forging prescriptions signed by Dr. Stan Watson with Horizon Family Medicine in Four Oaks to obtain oxycodone. ABC11 reached out to Watson who said he does not know Langston and has never treated him, adding that this the first time someone has forged a prescription under his name. ABC11 spoke with Langston's neighbor, who was aware of the arrest, and they said he is "getting help." Langston was hired by the city of Raleigh in Sept. 2008; he is currently on suspension. He faces two counts of trafficking opium or heroin and one count of obtaining a controlled substance by forgery/fraud.